Derek Jones a member of the faculty at Hamilton College for more than 35 years. During this period he has had several spells as departmental chair. He has published over 110 articles in refereed journals and chapters in edited volumes. In addition, he has written or edited eight books including the first six volumes in the series Advances in the Economic Analysis of Participatory and Labor Managed Firms. He has also served on the editorial boards of several journals and acted as a consultant for several international bodies. Currently he is Research Director, Economics, Mondragon Cooperative Academic Community (MCAC), Mondragon University, a Research Fellow at the Davidson Institute, University of Michigan, a Research Fellow SKOPE (Oxford) and a 2011 Faculty Fellow and Mentor in the Beyster - Professorship, Fellowship, and Related Fellows Program at the School of Management and Labor Relations at Rutgers University. 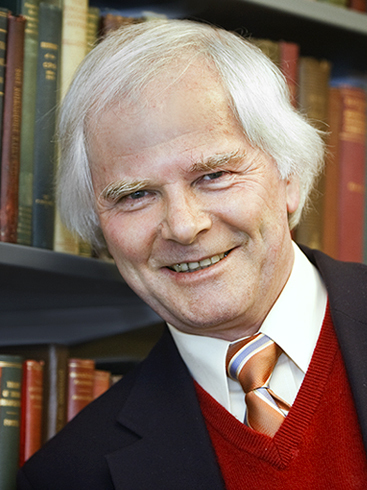 He is formerly Visiting Professor at the Helsinki School of Economics, Pembroke College (Oxford), Hitotsobashi University, the London Business School, Visiting Scholar at Cambridge University, Research Fellow at Manchester University and Warwick University, and Visiting Fellow at Copenhagen Business School, the Arbetslivcentrum (Stockholm) and the European University Institute, (Florence). From 1978-1996 he was an Associate Fellow of the Program on Participation at Cornell. Honors include being named in 2008 as the inaugural winner of Career Achievement Award at Hamilton College, Fellowships from Ikerbasque, the Finnish Foundation for Education, the German Marshall Fund, Hallsworth and SSRC, grants and research support from diverse organizations including NSF and Russell Sage and serving as President of both the Association for Comparative Economic Studies and International Association for the Economics of Participation. He has taught a variety of undergraduate courses at Hamilton and also some graduate modules at different institutions. Courses include: Labor Economics; Comparative Economic Systems; senior thesis; Intermediate Macroeconomic Theory; Workers' Participation in Management and Self-Management; Industrial Relations; Economics of Development; History of Economic Thought; Approaches to Political Economy; Comparative Industrial Relations; Introductory Economics (Macro, Micro and both in one semester); Economics of Transition; Human Resource Management Policies; Economics of Transition. As part of teaching at Hamilton he has worked closely with many undergraduates and he has also supervised many undergraduate theses. About half a dozen of these have resulted in publications with undergraduates. He has also supervised many Masters dissertations and been a member of or external examiner for several Ph.D. dissertations. An enduring area of research is "employee participation and human resource management practices including employee ownership". A key strategy in this research is the use of "insider econometrics or econometric case studies". To facilitate this line of research hecontinues to be an active member of IAFEP and since 2011 a Faculty fellow and Mentor in the Beyster - Professorship, Fellowship and Related Fellows Program at the School of Management and Labor Relations at Rutgers University. He also continues to work on diverse issues concerning cooperatives. In his capacity as Research Director of MCAC,he is helping to develop a broad research agenda that uses data for the Mondragon cooperatives as well as coops and other forms of participation and employee ownership elsewhere. A third research area examines diverse issues for transition economies. Panel and microdata sets continue to be collected and analyzed for large samples of firms in Bulgaria, Latvia, Estonia, Lithuania, China and Russia. He continues to be an active member of ACES. Also he has an interest in internet economics. Activites in this area include acting as senior editor for the New Economy Handbook, (Elsevier, 2003). The material on this personal site may not necessarily reflect the views of the College or the Trustees.